Cross-regional working group is a new format of work initiated by TransparenCEE community. Activists who are a part of the working group engage in online discussions via e-mail, Slack and FB, sharing knowledge and mapping areas for cooperation. On 27thof May a group facilitated by Milica Kovačević from Center for Democratic Transition (Montenegro) met for a first time in this new format to discuss possible cooperation in the area of Citizen Participation and Engagement in Sarajevo, Bosnia and Herzegovina. As Milica explained, the idea behind the activity is to have a conversation between advocacy and civic-tech activists from different countries and backgrounds. In Sarajevo they had a chance to talk about solutions to the problems with civic engagement, about new tech-tools which need to be developed in order to improve civic participation and also about existing tools that can be applied in more than one country or even one region. Two other TransparenCEE working groups on Decision-Making and Political Finances and on Public Procurements and Corporate Registry are already working for several months online and offline. 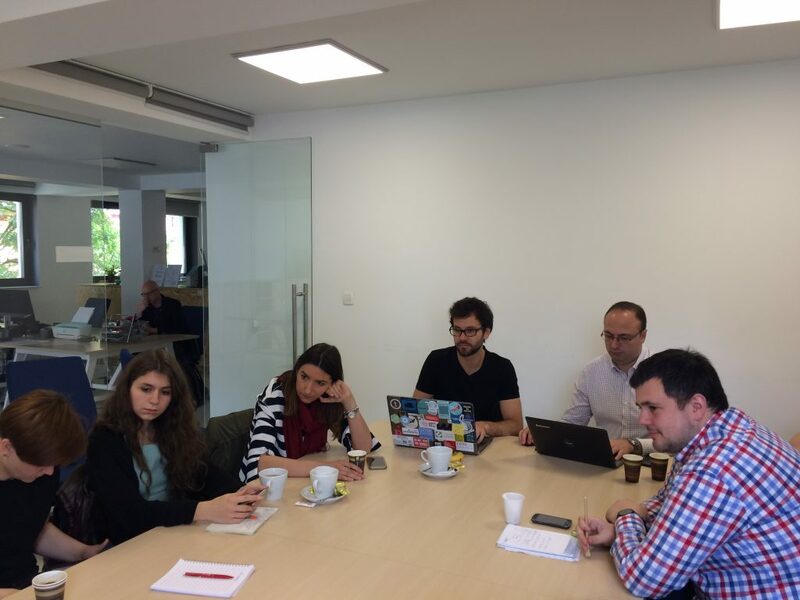 All working groups are aiming to produce concrete products by the end of this year (such as tech tools and platforms, research or advocacy campaigns) that will help to improve the democratic process across countries and regions in Europe as well as to connect activists in their common effort for more transparency and accountability.